Credit cards play a major role in our lives; however, their ease of use and convenience also makes it possible to find ourselves quickly facing massive credit card debt. A high level of debt, combined with high interest rates, can make it nearly impossible to pay off. If you find yourself in this all too common situation, a Bristol credit card debt settlement lawyer can help. At The Hamzy Law Firm, LLC, we understand how easy it is to fall behind on credit card payments, and we know how much relief our clients feel when their credit card debt is settled. Please call us at 860-589-6525 to set up an initial consultation with an experienced attorney to learn about your options regarding credit card debt settlement, or contact us online. At The Hamzy Law Firm, LLC, our experienced credit card debt settlement lawyers can work with you and your credit card company to develop a more reasonable repayment plan. If you have multiple cards, we can work with the companies to consolidate your debt into one payment, and may be able to reduce your debt by as much as half. An experienced Bristol credit card debt settlement lawyer can determine if this is a good option for you. 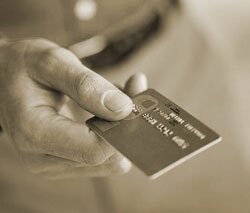 It is important to note that setting up a credit card debt settlement plan is not without its risks. Once a debt settlement plan has been established, your creditors will generally stop collections harassment provided you continue to make your payments. However, if your account has already been turned over to an independent collections agency, the harassment may continue and your payments may not be reduced. This is why it is important to talk with an experienced Connecticut credit card debt attorney to determine what the best course of action is to take. You don’t have to feel helpless when it comes to paying off your credit card debt. Our experienced Hartford County debt negotiation attorneys can determine your options and devise a plan to escape your credit card debt. Please call us at 860-589-6525 to schedule an initial consultation with an experienced credit card debt settlement attorney, or contact us online.